The City is in the process of drafting an Area Structure Plan (ASP) for the West View community. The West View ASP will provide a vision for the future development of 254 hectares (629 acres) of land located within the west sector of the city. The plan area is bounded by the Bow River to the north, the communities of Valley Ridge and Crestmont to the east, and by Rocky View County to the south and west. 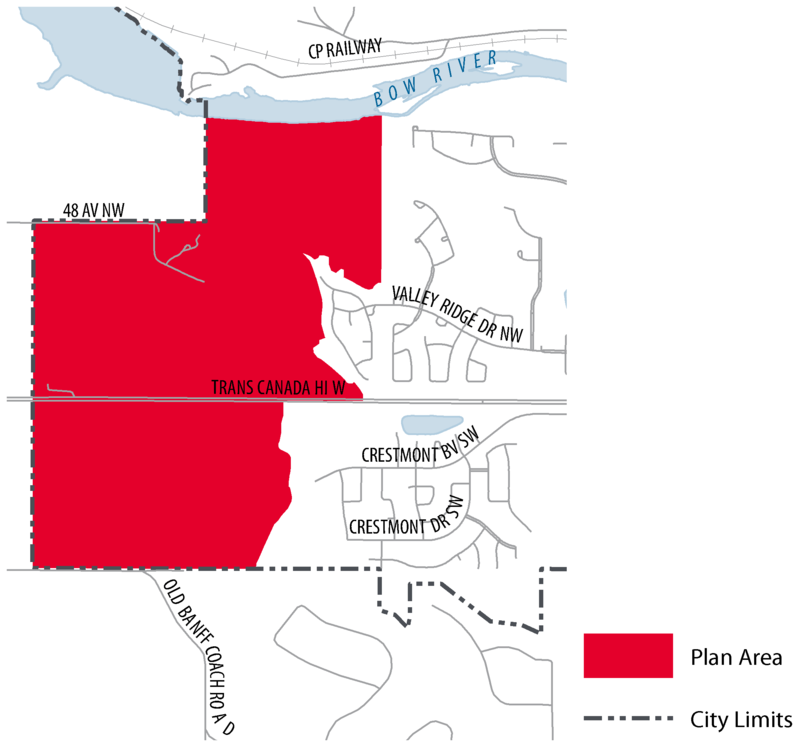 The plan area is a joint planning area between The City and Rock View County, and will follow the processes outlined in the Rocky View County/City of Calgary Intermunicipal Development Plan. The topography of the area is primarily rolling grassland with a signiﬁcant wooded area to the north, adjacent to and rising above The Bow River. A ravine system provides a unique natural amenity along the western portion of the plan area, both north and south of the highway. The land rises to its highest elevation to the south and west providing views to the ranges of the Rocky Mountains. The City has hosted two phases of engagement, as we draft the new area structure plan for the future community of West View. In the first phase of engagement, we collected input to gather a high-level understanding of the issues, ideas and concerns as we draft a vision for the future community. In the second phase of engagement, we collected input to help evaluate the proposed land use concepts. To review the feedback from both phases, please click through the tabs. We will be returning to the community this fall to share a draft of plan. Please check back here for future engagement opportunities. The City reviewed your feedback from phase one engagement and drafted two land use concepts based on a combination of technical analysis, community input, City policy and market viability. We were looking for your input to help us evaluate these two options in this phase of engagement. To review the information shared at the in-person event in phase two, please read the information panels. Thank you for providing your input for phase one engagement. Engagement for this project to date has provided an opportunity for you to provide a high-level overview of issues and opportunities as we begin work on the new ASP. Your input will be reviewed and The City will consider your feedback as we draft the new ASP policy document. We will share a summary of feedback with the community through a What We Heard Report which will be shared here prior to the next round of public engagement. Final information session to share the proposed plan. For updates subscribe to the West View ASP email list.